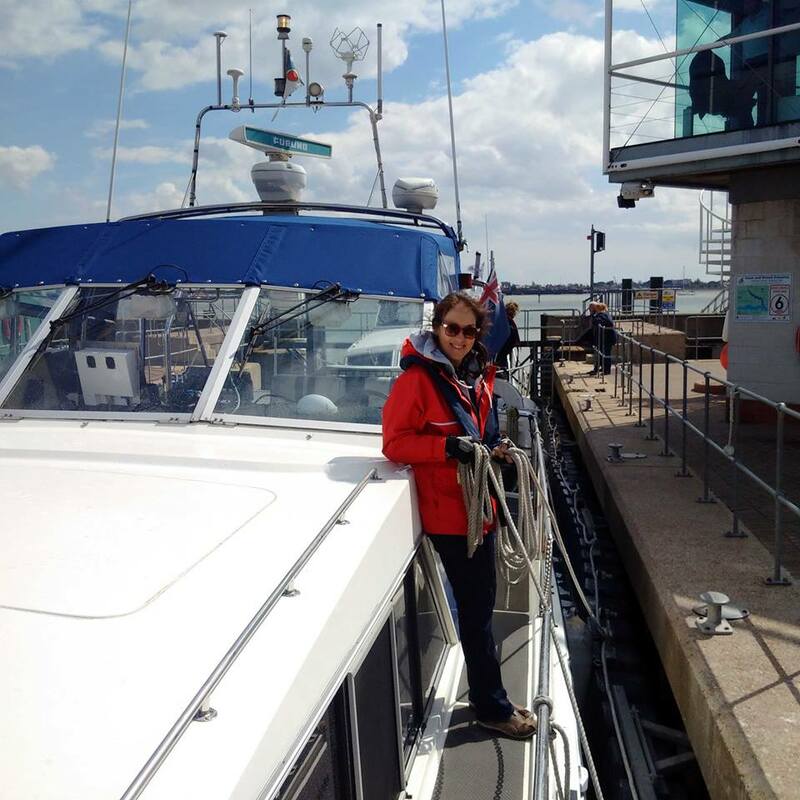 A challenging coastal cruise in company with BOC members in manageable weather from Lowestoft to Shotley, in F4 13-16kn wind and, with the SSW penultimate leg undertaken with wind against tide, making the sl./mod. seems to be more moderate than slight! The weather was milder than of late but windier and wet with heavy rain and showers before the sun broke through for our arrival. 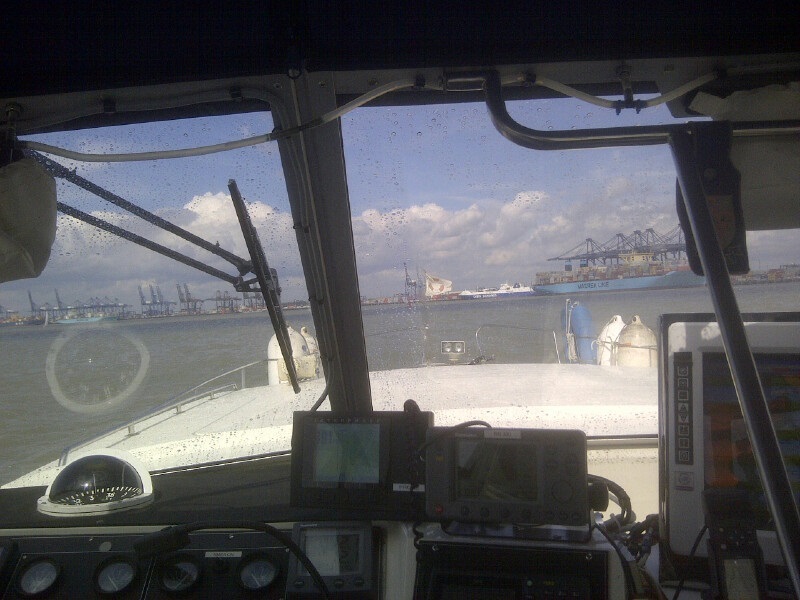 The correct transit and procedures to approach Shotley Marina and a straight forward lock operation into the basin. The cruise was originally planned to start a couple of hours later but it was decided over by a consensus of boat skippers the night before, to move before 9.00am LT so as to get shelter before the stronger winds arrived later. This worked well for the start of the cruise as the tide was against us (but with the wind) thus flattening the sea but later on the tide turned in our favour, but against the wind, making the sea for our long south- south-westerly leg moderate rather than slight. Wind was averaging around 14kn (exactly as the GRIB weather forecast had indicated) and started off at c13kn and then peaked at 16kn, still within the F4 range. The cruise was led by Ken on Gentle One and followed firstly by Yorkshire Belle II and Misty Isle who set off near to the pace of the leader at c15kn but the fleet soon become strung out. I held back and kept an eye on Escape II and Moonbow, who were experiencing problems on passage with mechanical problems and the conditions but everybody managed well. Some of the vessels had no functioning radar (either due to non-fitment or unfamiliarity) and so lost visual contact with each other as viz deteriorated to around 2nm at times but they were all operating on the same passage plan. On site were a small chandlers, which sold some provisions, a restaurant and bar with a children's area and some outside tables with dog water bowls. Apart from that, walks were available but made difficult by (an apparently recently-installed) locked security gates, which was a shame. 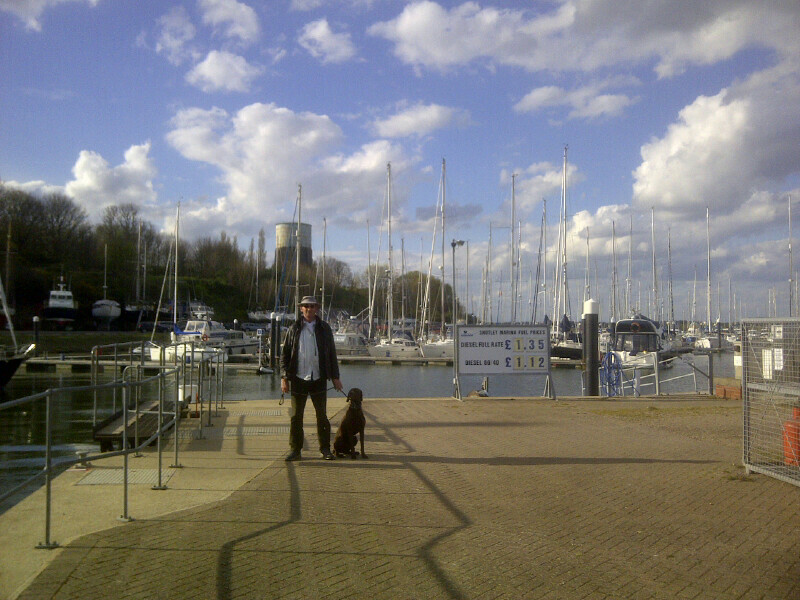 Shotley Marina Ch 80, floating pontoons!